This post was originally published on The 4th Wall, the dramaturgy blog of the BYU Theatre and Media Arts Department. We at FTTV partnered with the cast, director, and dramaturgy team of BYU’s production of Into The Woods to host an exciting event on November 8th that dove into context, meaning, and stage/screen adaptations of fairy tales. Prepare for the production or get a taste of what you missed at the event here. The inspiration for Into the Woods came because Stephen Sondheim and James Lapine wanted to create a show that blended several stories. They did not originally intend to use fairy tales, but these stories have played an important role in many people’s lives. 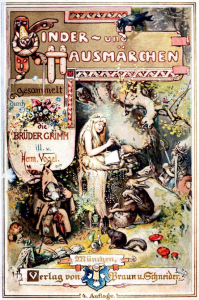 Though there have been many storytellers, it was the Brothers Grimm who popularized these stories. 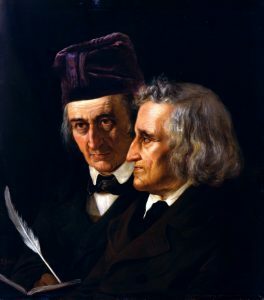 Growing up, Jacob and Wilhelm Grimm were able to get a good education. Because they kept to themselves, the brothers became very close. Jacob and Wilhelm also gained a great love for folk tales. Eventually, they collected and published these stories in Children’s and Household Tales in 1812. 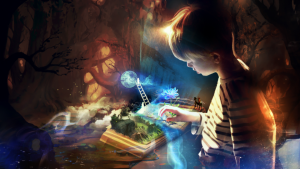 The stories were aimed toward children as children’s stories were becoming a more popular form of literature. In later editions of their book, the stories were made even more family friendly as the original tales received some criticism due to some gory details. Although there are several variations of the fairy tales that the Brothers Grimm collected, there are common themes: villains, heroes, and personal obstacles that are eventually overcome. The lives of the heroes in the stories are far from perfect, but they work through their challenges and are then able to find happily ever after. Living in perfect bliss for the rest of one’s life is a little unrealistic, but that doesn’t mean that what the fairy tale characters go through has no value. Into the Woods explores what happens after ever after. Our lives will have challenges and joyous moments at different times. However, as long as we remember that things can get better, and keep moving forward, we, as our favorite fairy tale characters, will always find moments to be happy in our ever after. Thanks Amelia! Our FTTV team is always interested in mediated fairy tales on the stage, big screen, and small screen. Into the Woods is also a great example of a fairy tale mash-up that uses strategies from our research, using more tales in a mash-up earlier than any in our database. 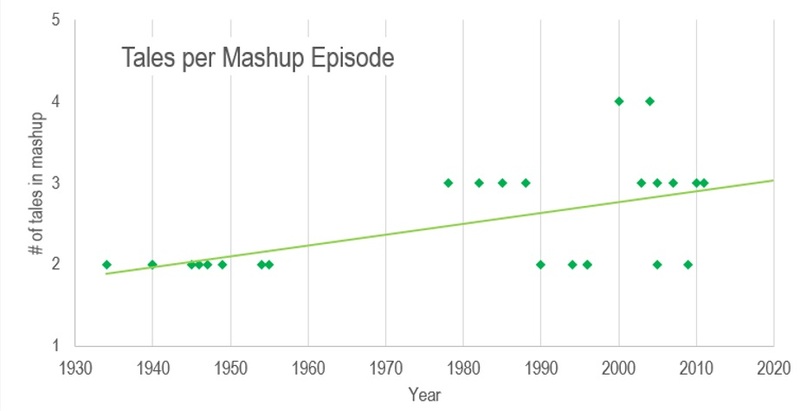 Did Into The Woods impact these trends? These are the kind of questions we love to ask at FTTV! This entry was posted in Contests and Events and tagged crosspost, Into The Woods, Setting the Stage Events, Theatre Department. Bookmark the permalink.